The whole idea behind Triple-Level Cell (3-bit/TLC) NAND is to put more stuff into less space for less cash. It’s succeeded at the former, but the less cash thing hasn’t really worked out. TLC drives are available in larger capacities (up to 2TB), but are marginally cheaper than MLC drives at best. But the biggest issue has been speed. When TLC drives were first introduced, sustained write performance on some was slower than a hard drive’s, and not a particularly fast hard drive. Thankfully, advanced caching and tiering with faster SLC and MLC (actually TLC treated as that) has largely remedied that. Sadly, the cure hasn’t benefited Toshiba’s new TR200. 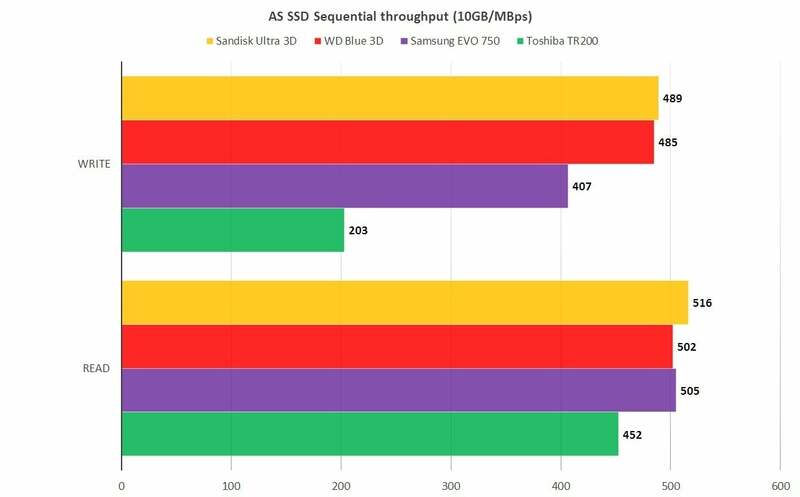 Not since the Toshiba/OCZ Trion 100 have we seen a drive this slow with large data sets, writing them slower than most hard drives. And this from a company that’s the OEM for NVMe SSDs such as the XG5, which reads at over 3GBps and writes at over 2GBps. Go figure. The TR200 is a SATA 6Gbps, 7mm thick drive that uses 15nm, 64-layer BiCS (Bits in Column Stacked) TLC NAND, more commonly known as 3D NAND. The drive also features a superlow 1.6-watt power consumption rate, which is an advantage if you want to increase laptop run time. We also quite like the green-and-black color scheme, which is a vast improvement visually over Toshiba’s older (but much faster) Q300 with its generic silver looks. It seems Toshiba has taken a cue from OCZ on at least some matters. As pretty as the box looks, it hides truly poor sustained write performance, and very slow small file read performance. The TR200 ships in 240GB, 480GB (the size we tested), and 960GB capacities for $90, $150, and $290, respectively. That’s around 30 cents per gigabyte, the same cost as the majority of the budget competition. 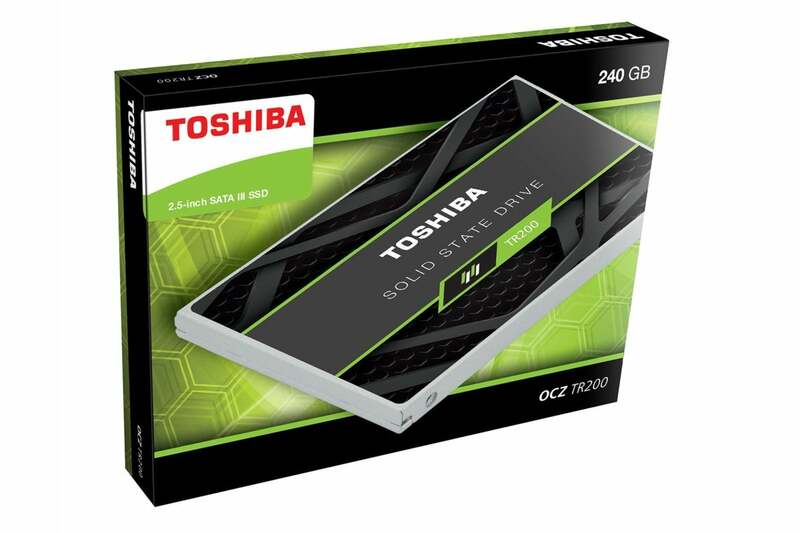 Toshiba warranties the TR200 for 3 years, and rates it for 60TBW (TerraBytes Written—the total amount of writing the drive is capable of) for every 240GB. 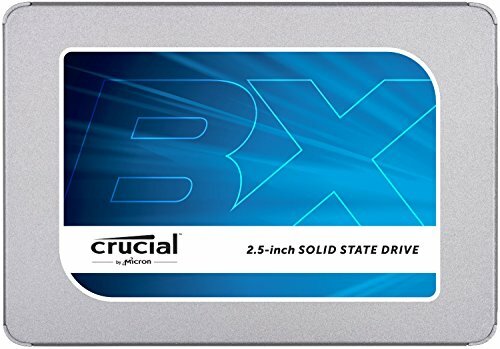 That’s certainly not the most generous rating we’ve seen, but most SSDs should actually last quite a bit longer, and 60TBW per 240GB is probably more than ten years' worth of writes for the average user. If you never wrote more than around 5GB to 10GB of data, you might never notice that the TR200 is slow. Until that point, it isn’t, with the fast random access and 500MBps read/writes that are the hallmark of all modern SATA SSDs. If that fits your usage scenario (Windows, browsing, email, and light business tasks) you can get away with the TR200. But the drive slows down to around 100MBps after you exceed the amount of cache provided. That seemed to be around 1.5 percent of total capacity, or 5GB-7GB on the 480GB model we tested. By way of comparison, there are SATA hard drives such as Seagate’s Barracuda Pro 12TB that write at 250MBps, and USB 3.0 hard drives generally write at 100MBps to 120MBps. Back to that light-usage scenario: If you ran AS SSD’s 1GB test you'd get what look like normal SSD numbers. Run the 10GB test, as we did, and you get the disturbing numbers you see below. The 480GB TR200 will drop to 100MBps writing and stay there if you write more than 5GB. The above includes writing to the faster cache memory, hence the 200MBps average. Read ‘em and weep. 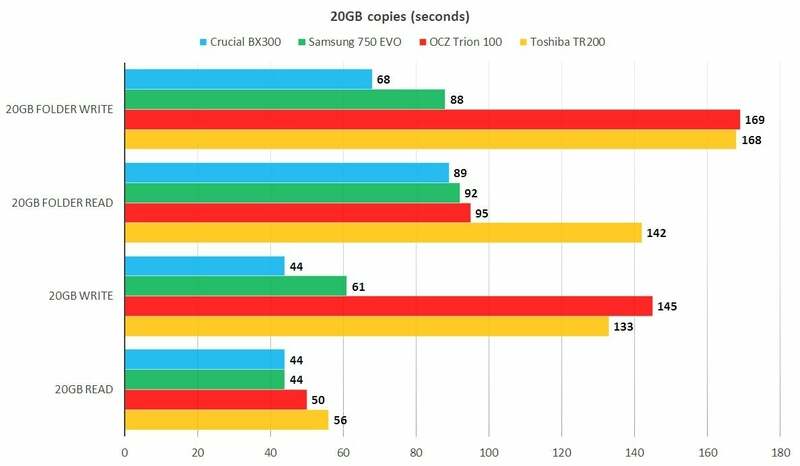 The TR200 is basically the slowest SSD we’ve ever tested, rivaled only by the OCZ Trion 100—another drive made by Toshiba. The TR200 proved even slower than the historically slothful OCZ/Toshiba Trion 100 by virtue of a slower performance reading our 20GB mix of files and folders. If you’re cloning an existing drive to a TR200, you’re in for a long wait. It's sobering to think that a don't-buy recommendation for the Toshiba TR200, which is what we're advising, could cause people to lose their jobs. Toshiba now has the dubious distinction of forcing us into the no-buy zone twice. We wish to heck they’d stop. If the TR200 were half, or even two-thirds the price of other drives, it might be a different story. If you find it for that, it will provide the majority of the hard-drive-to-SSD upgrade experience. But we can’t recommend buying a drive that will eventually disappoint you, when for the same price you can buy one that won’t. So, in plain language: Don’t buy the TR200, and don’t buy the Trion series they put out under OCZ’s label. Instead look to Crucial’s BX300 or Sandisk’s Ultra 3D. And here’s hoping Toshiba gets its act together. 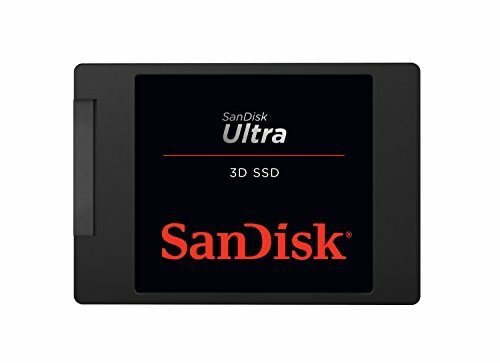 Though this drive will behave like a normal SSD under light duty, write any substantial amount of data to it and it is slower than a hard drive. 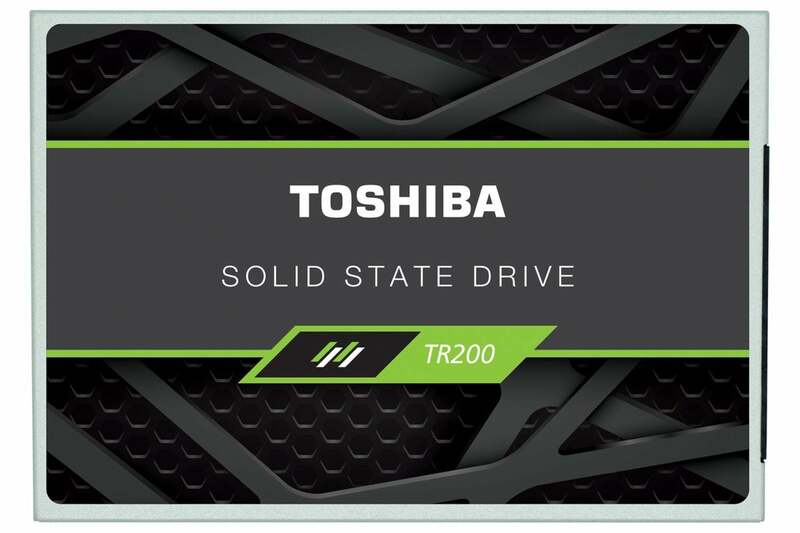 With no price advantage over much faster drives, the TR200 is not a product we recommend.